Gives me just enough load for the flasher to be happy. I was able to squeeze a clear 1156 LED bulb in the footwell, dome (with a modified setup using footwell light fixture), rear hatch, and underhood locations. Interested in the cluster bulbs and Clock bulbs. Do you want the old sockets first or can they be sent after the swap? Information: If you are going to run LED turn signals, here is the modification needed for the STOCK flasher relay behind the dash. If you need more info on finding it, look in your shop manual. 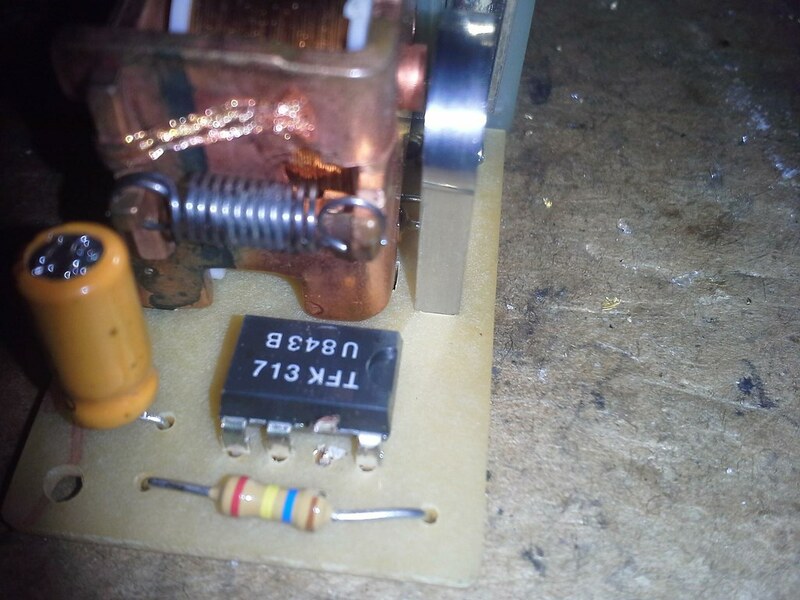 Carefully open the STOCK relay and snip the lead on the integrated circuit as shown in the photo. Easy as that, no $30 special relay needed. For those doing the LED swap, Superbrite LED has a flasher that is plug and play that eliminates the need to dissect and rely on a thirty-year old flasher for $12.97. e-Bay has them for even less. EP-27 is the one I got, works fine. The only issue I have is the noise is less than OEM, so you can't always hear that your turn signals are on, especially with a 3" exhaust. Howdy! are you still making the Dash cluster LED's? if so how do I order a set? Can anyone advise on how to remove the dome light cover? I hear they are brittle so I want to make sure I'm prying on the right spot. Very carefully. I use a paint spatula in order to spread the stress over a larger area. It can't flex too much, but a little flexing is OK. I've been fortunate, as it seems none of mine don't look as brittle as some of them I've seen. Just wondering if it would make more sense to buy a new relay instead of altering a 30+-year-old one? Ideally try to insert the drywall spatula or broad putty knife where the spring clips are that retain the cover in place. Search for a photo of one removed from its base to guide you re the location of the two springs. How about the Scorpio? Any advice in removing the overhead console to replace bulbs? They're easily replaceable. Ford used that light for years in many models. The surround cover is held in place on two sides, IIRC the left side slides under a metal tang, and the right side by a metal screw. To remove it, remove the screw, then gingerly tap on the surround to release it from the tang.